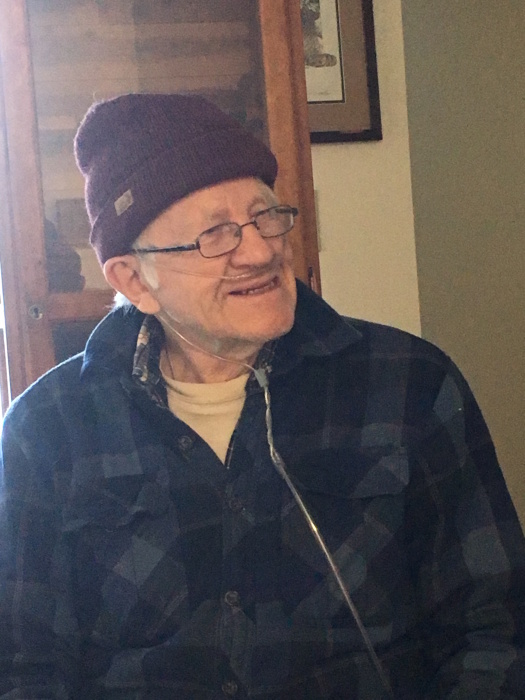 William Welton Thomas Johnson, 80, of South Pleasant St, passed away peacefully on Sunday, January 20, 2019 at the Jack Byrne Center at DHMC in Lebanon, NH. He made light of his names, often telling folks that his mother did not know what to name him, so she gave him four. He was also known as Weechie, Whitey, Bill and Uncle. It even showed up with his signature. One day he might sign as Welton Johnson, another day as William, or even as W. Welton Johnson for variety. “We don't have any have records for a William Johnson”, medical personnel would exclaim with obvious concern. “Do you have records for a Welton Johnson”, we would ask. And so it went. Surely, Bill is smiling now as we share this. Born on October 12, 1938 in West Fairlee, VT, he was the son of William T. and Alice M. (Tilden) Johnson. He grew up on the family farm in Fairlee. Unlike his sister Lynda, he did not like the farm much. He especially hated to fill the wood box for the wood stove. Lynda often covered for him. He had other interests, like making tunnels in the loose hay mows in the barn, or going to the mill pond. Also during this time, he became the undisputed sleep-walking champion of Orange County, VT.
His mother found him sitting on the porch roof one night after he had gotten out of bed and climbed out the upstairs window to get there. Concerned, she moved his bedroom downstairs. His best walk was the night he got out of bed, walked out of the house, across the yard to the barnyard, opened the gate and went in. He probably would have made it all the way to the chicken house had he not stepped into a wet cow plop. It oozed up between his toes and he awoke. He liked the Rare Bird and Animal Farm in Fairlee and worked there during his high school days. A lover of airplanes, he aspired to join the US Air Force after graduating from Bradford Academy in 1959. Unfortunately, the Air Force did not take sleep walkers and those with flat feet. Very disappointed, Bill decided to go to another dairy farm, the Clark Farm in Fairlee. He liked that farm – It had amenities like the pretty Clark daughters, young ladies working at the neighboring Hollywood Motel, and sometimes deer or rabbit hunting with Bill Clark. It really was not in his heart to farm, so Bill took a job working as a custodian at Dartmouth College for a dozen or so years before attending the National School of Meat Cutting in Toledo, OH. After schooling, he worked as a meat cutter at Gould's Market in Piermont, NH before doing same at Mehuron's Market in Waitsfield, VT, starting there in the early 1980s. He became the store's Meat Dept. Manager in 1995 and served in that position until he retired in 2003. Bill continued to work at Mehuron's after retiring, filling in part-time when needed, and doing so until health issues forced him to stop in 2016. He was known as a very hard and excellent worker at Mehuron's. Customers and co-workers loved him. He also worked as a custodian at Fayston Elementary (2003-2009) and Moretown Elementary (2007-2016). It was the same story at the schools – everyone loved him, teachers and students alike. Bill enjoyed the outdoors immensely. He loved to chase those deer, but he was not very successful, primarily we think, because he really did not want to kill them. Trout fishing, especially fly fishing, was his real passion. For years, he and some friends made annual trout treks to Quebec. He took many leaf-peeping rides in the fall and snowmobiled for years. He took annual trips to ME because anything worth buying is bought from LL Bean. Vacations far away from home were rare for Bill, but of those he took, all focused on outdoor beauty found in places like CA farms, forests and wineries, Alaskan boat tours, and Bermuda cruises. Recently, he planned a trip to FL, a trip he could not take because of illness. Bill loved cats, having several over the years. A few included Mischief, Polly, Molly, Lily, Fat Cat, and most recently, Muffin. The love he had for his cats was as strong as the love he had for family and friends. Known for his loyalty to friends and family, Bill never lost his way for getting those around him to smile. You might get a can of Campbell's Tomato Soup for Christmas, or a single stick of firewood if you owned a wood stove. He would give each gift, grinning from ear to ear until you returned same, or just laughed. Bill developed a powerful friendship with Bill and Becky Robinson of Warren, VT, a friendship that was hugely important and helpful during Bill's illness over the past two years, even helping Bill through his dying process. Bill and Becky's love, support, and loyalty to Bill was like none other. That friendship and love as well as the love and support from his family, helped Bill die a happy man. Besides his parents, he is predeceased by brothers Beverly 'Dusty' Godfrey and Elwood 'Woody', a sister, Betty Cross, and an infant sister, Lucille. Survivors include two brothers Raymond 'Ray' Godfrey of North Port, FL and Wayne Godfrey (Linda) of Piermont, NH; a sister Lynda Goodrich of Newbury, VT, several nieces and nephews. The Funeral Service will be held at 1:00 PM, Saturday, January 26 at the Bradford Congregational Church, with a reception following in the vestry. Burial will be in the spring at the Fairlee Village Cemetery. Memorial donations may be made to the Jack Byrne Center. Arrangements are by Hale Funeral Home, 187 Upper Plain, Bradford, VT.
Online guest book at www.halefuneralhomes.com.